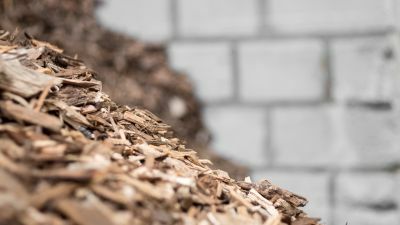 The really high efficiency (90%) and the environmental compatibility of the biogenic fuel have encouraged us to heat our production and storage areas using wood chips. By sourcing the burning material, we take care of an ecological and sustainable origin, low-energy processing and short delivery routes. 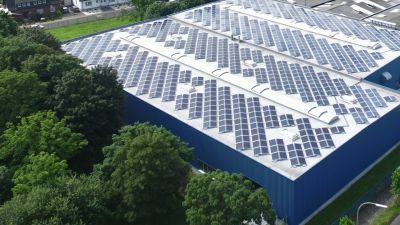 Since the year 2016 we run a 322-kW photovoltaic system on 4.000 m² of our plants’ roofs, which allows us to generate about 20 % of our electricity ourselves, depending on the weather. Our plants need a good and bright illumination – not least to evaluate our products during manufacturing. 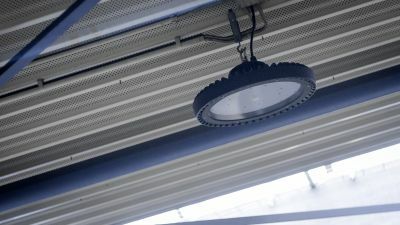 For this reason, we shifted the whole light to a demand-driven LED technology and save 70 % of the previously needed energy. 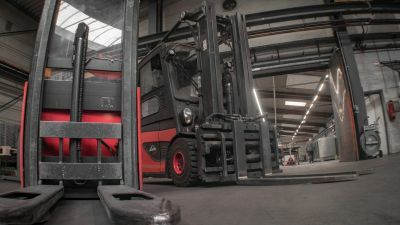 Our forklift fleet drives exclusively eclectic, so there is no need for fossil fuels. This not only complies with our environmental efforts, it also keeps our employees’ working places free from exhaust gases.